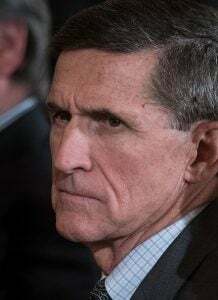 RUSH: Michael Flynn has had to put his house up for sale to pay his lawyers who are defending him in the special counsel investigation into pure pap. What a bogus… What an absolute bogus outrage. A great patriot for this country is having to sell his house to pay legal fees because he’s being investigated by the special counsel on a premise that is phony. There was no collusion with Trump and Russia to steal the election from Hillary Clinton! I saw this today, and my heart went out. It just enrages me that a guy has to — and how would you like to be the lawyer watching your client sell his house to pay you? Don’t give me any lawyer jokes. I mean, I know that many of you don’t think lawyers have hearts, and you may have a point in some cases. But how would you like to be the lawyer watching this happen? “Don’t fool yourself, Rush. Lawyers love people in trouble.” I understand that. But this is bogus! This whole premise is just bogus!